Growing up, my family owned a small cottage residing in the middle of the woods in Rhinelander, Wisconsin. The scenery was beautiful, especially during fall when the world was changing from the typical sea of green to a vast array of colors that spiced up the world in autumn. During the daylight I would walk outside and smell the air. Fresh. So fresh and clean and alive. At night you could look up and see every star imaginable, an impossibility back home as the fog of metropolitan pollution would make the sky appear to be so dull. Something changed though when it was time for bed, when the lights went off and I was surrounded by silence. The fact that we were so separated from society no longer seemed cute or freeing or exciting. It felt dangerous and ominous, like no one would be there to help us if evil lurked in the shadows or behind the trees. I still remember looking out the windows in the dead of night and allowing my worst nightmares to play out in my mind. Was I being watched? What was that noise? What's moving over there? Pull the covers over your eyes and think happy thoughts. Think about the daylight. Think about the freshness and the stars and the peaceful silence. Embrace it. Don't fear it. Just drift off to sleep, and whatever you do, don't think about The Evil Dead. See, as a kid I saw this film, probably at an age that was far too young. It made me afraid of the concept of the simplistic cabin in the middle of nowhere. It terrified me to think about a representation of evil swooping quickly through the woods towards me, an entity that couldn't be noticed until it was too late. It made me tremble when I would look through the windows at the still of the darkness and wonder what might be out there. Sam Raimi brought the world a wonderful piece of horror cinema and he did so utilizing a very paltry budget, at least in terms of what it cost even back in 1981 to craft typical Hollywood fare. That's just it though, The Evil Dead isn't typical. 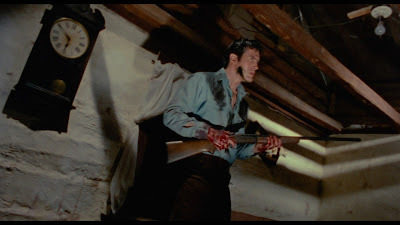 It's a film that almost entirely takes place in one location with a small cast including the breakout performance from Bruce Campbell, and while it may not be as satisfying for me as the far less serious sequel, it still hits so many right notes with it's solid scares and ridiculous looking demons that I find delightfully entertaining. Unfortunately our family no longer owns that cottage, so all that lives on in my mind is nostalgic memories of the way it looked when our car pulled closer to it after such a long drive. The walk down to the beach and the way the moist sand would feel against my bare feet. The grass filled with all of those vibrant leaves, a world preparing to transition from long days and warmth to the darkness and chill of winter. The stars. So many stars. I will remember looking out the window and seeing a shadow. Everything is going to be okay Scott. 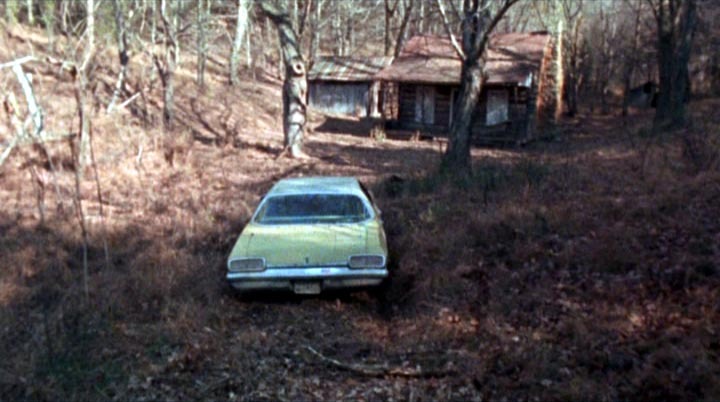 Just drift off to sleep, and whatever you do, don't think about The Evil Dead.